This graph depicts the sports gate revenue in North America from 2006 to 2022. 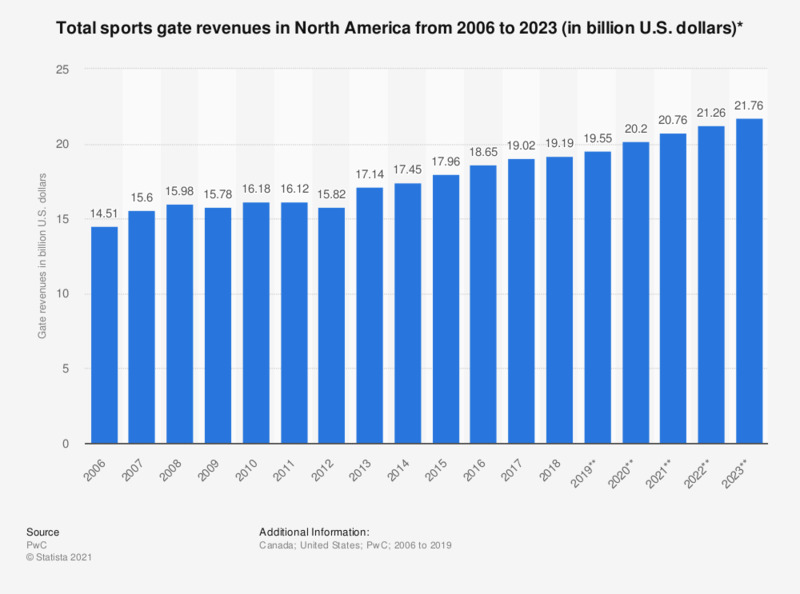 In 2018, sports gate revenues in North America reached 19.31 billion U.S. dollars. * Primary market ticket sales for live sporting events. Norecurring seat premiums and license costs are not included.